Live shows starring Bob Odenkirk, Patton Oswalt, Maria Bamford, Reggie Watts, David Cross, Mike Birbiglia, Judah Friedlander, Janeane Garofalo, Julio Torres, Chris Gethard, Jo Firestone, Hari Kondabolu, and more have already taken place in California, Illinois, New York, and Texas. 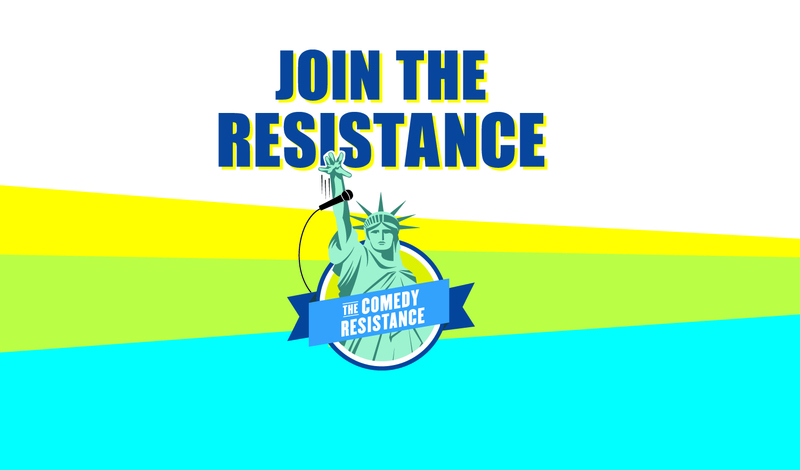 Digital Field Organizing: The Comedy Resistance uses apps and text messages from comedians which members can share to inspire their friends, family, coworkers, and fellow fans to vote. On every tour stop, we create an infrastructure of local comedians, activists, venues, and volunteer organizations to continue Voter Registration drives, launch Get Out The Vote campaigns. We have partnered with other nonpartisan grassroots organizations focused on millennial activism and issues advocacy, connecting their tools and resources with our comedians and comedy audience. Check out: Headcount, DoSomething.org, ACLU Voter, ACLU People Power, NRDC, and more.